Every year, July 4 festivities are celebrated throughout the United States. It’s a time to celebrate and thank those before us for founding this great country. Regardless of where you are, many choose to celebrate it the same way: with fireworks, patriotic music and a lot of hotdogs. 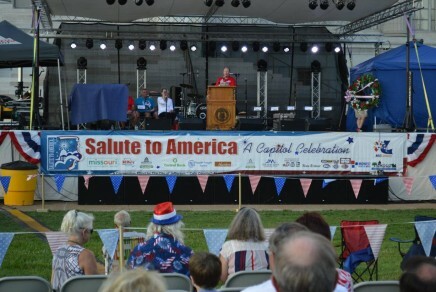 If you are looking for a festival to celebrate the land of the free and home of the brave, there is no better place than Jefferson City's Salute to America! Salute to America kicks off each year in true patriotic fashion with an opening ceremony honoring our heroes. The event features speaker Major General Hank Stratman, US Army retired. As the marching band fires up, prepare for one highlight of this Fourth of July celebration, the parade. Crowds gather along the route as it winds through Jefferson City’s picturesque, downtown streets. The hometown flair of this parade not only makes it unique to the community but offers excitement for all ages. 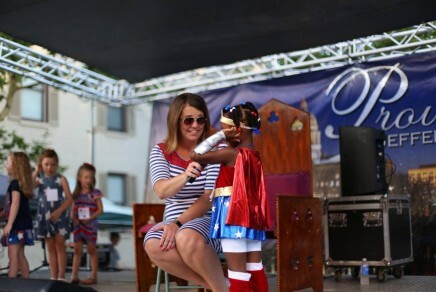 Prepare for cuteness overload as pageant contestants ages 4-6 compete for the crown in the annual Little Mr. and Miss Independence Contest. Winners of this contest receive a trophy, crown, sash, $100 (courtesy of River Region Credit Union), and other prizes and become the ambassadors of the next year’s celebration. Is any July 4 festival complete without a hotdog eating contest? Don’t miss your chance to eat all the franks your little heart desires while being cheered on to victory. Whether you join in on the action or motivate from the sidelines, this competition is sure to be a crowd-pleaser. This spirited event has bike riders deck out in their best red, white, and blue and cycle through north Jefferson City with fellow cyclists. Envision a very colorful patriotic parade of bicycles promenading through the streets. Come one, come all to Carnival Land - a fun and family-friendly atmosphere for children and parents alike to spend the afternoon. Take a break from meandering through the crowds and enjoy the miniature carnival located at the heart of the celebration. At last, the moment we’ve all been waiting for, the pièce de résistance, drumroll please…the Red White and Boom Sky Concert! 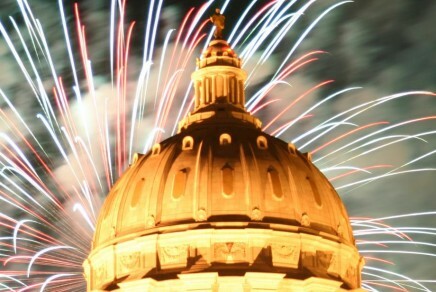 Bring your lawn chairs or blankets and relax as the capital city proudly presents one of the largest fireworks displays in the state. Spectators will “ooh and ah” over the spectacle as brilliant lights soar high above the Missouri State Capitol dome before dissolving into the night sky.